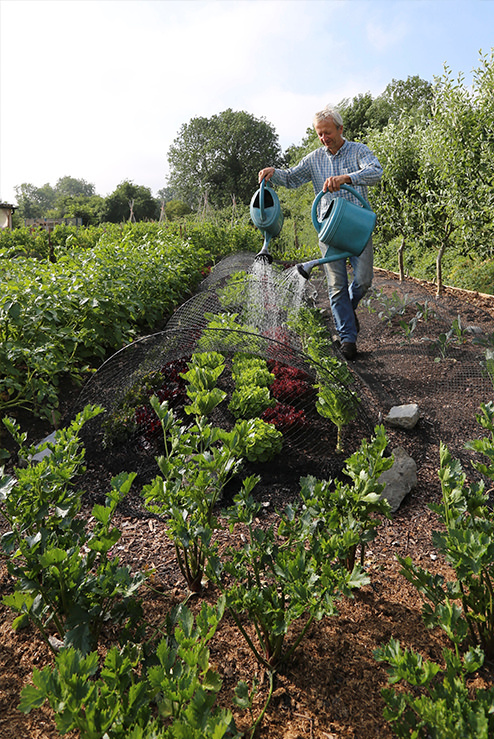 You learn the advantages of no dig for growing, both on small and on a larger scale. Together with this, we discuss how to grow a market and to make a return on your time. 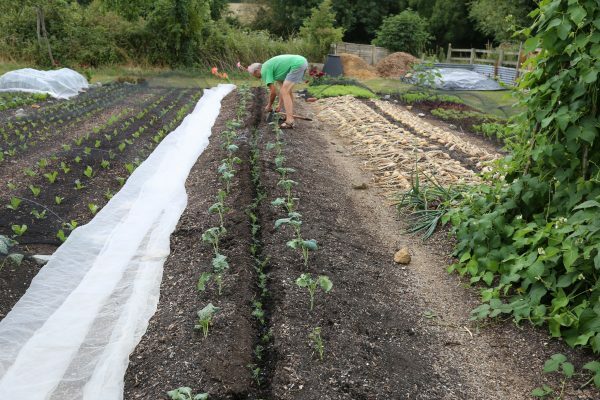 I give advice on the most profitable vegetables to grow, sowing dates, and tips on picking and packing . Its a full-on weekend when you see Homeacres garden with some beds now cleared and mulched for next year, others full of harvests to come. Compost is the principle addition of fertility, by wheelbarrow, and it is possible in all weathers. 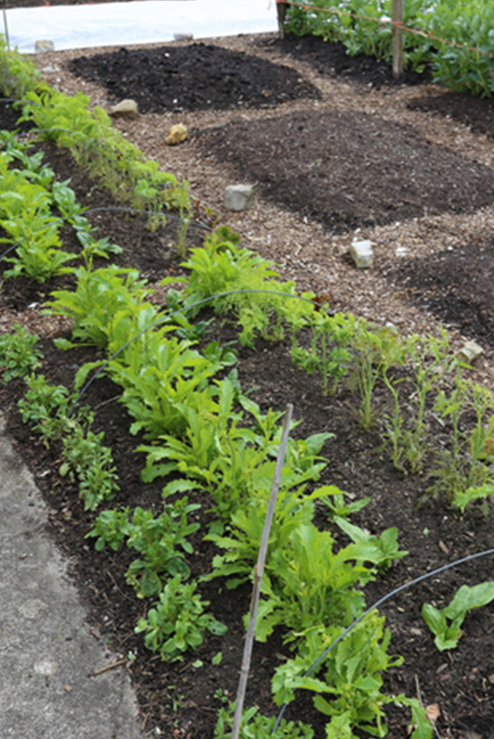 I explain details of salad growing and picking for sale. There is plenty to see. Also I show you washing and packing. We look at compost making, and the examples of compost at different stages in my compost bay. Also we look at examples of bought compost and animal manures, and their value for growing, and costs. I explain the value of becoming skilled at propagation, how little space you actually need to grow hundreds of plants at one time, and thousands over the season. Currently I am propagating basil, cucumber, tomatoes and many frost sensitive plants. Many crops are still covered in fleece and you can see how easy that is to do, and its immense benefits and cost-effectiveness. You learn time-saving tips in many aspects of growing, from watering and plant care, to weeding less, and picking more. Yield per square metre is a key goal. We are discussing something difficult to achieve, profitability in growing veg. 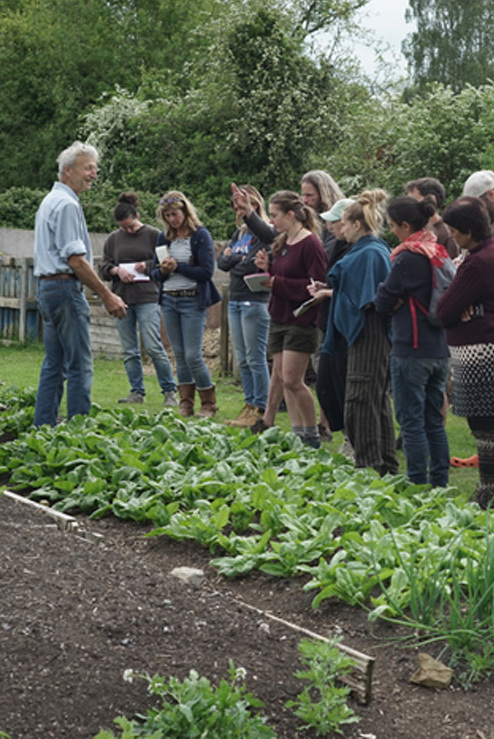 The course is based on my experience of no dig growing since 1982, in four different market gardens, on soils ranging from stone brash to white clay. It’s a fine opportunity to share time, in a group of no more than twelve people, with an acknowledged master of his craft. Refreshments are all included, not least the fine lunches of home milled bread and more vegetable dishes than you normally see at one meal. Mattresses are available for Saturday night, bring your bedding. And do check the b&b recommendations at the bottom of the Course page, where you can see more details on what is covered.